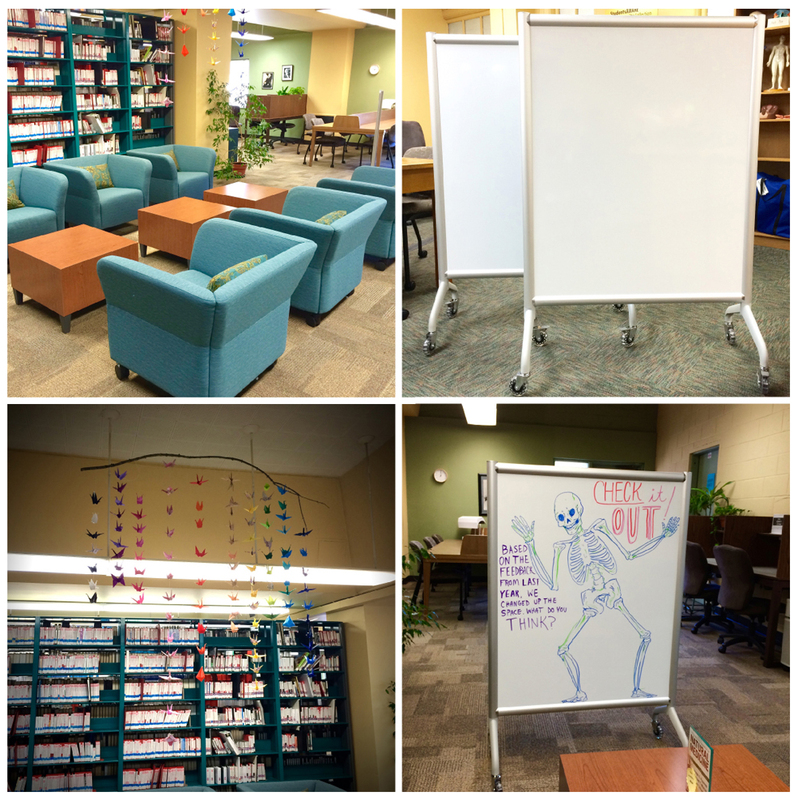 Last spring we asked for your feedback and suggestions about how to make the quiet space in the library more comfortable and pleasant. You spoke, and we listened! We replaced the big wooden table that wasn’t being regularly used with 6 lounge chairs and 3 tables. We also brought in rolling whiteboards to help with your studying. Dry erase markers and erasers are available at the front desk for in-library use, or you can checkout whiteboard supplies for a full day. Finally, remember those paper cranes you folded in the spring? The library staff created a beautiful hanging mobile with those cranes, and it is now hanging above the new seating area. Come take a look at the amazing art piece you helped create and maybe try out the new chairs! This might be your new favorite spot on campus.